Shrub like plants with upright purple stems. Maple like leaves, up to 4”/10 cm in diameter. 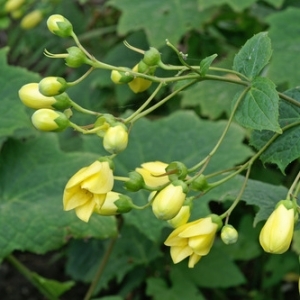 Flowers are funnel shaped, 1-2”/2.5-5 cm long of a waxy yellow color. They seldom open all the way.